Looking for the Latest Whole Child Podcast Episode? Thank you for joining us on the Whole Child Podcast. Beginning next month, episode posts will be available on the official ASCD blog Inservice. Subscribe to the podcast RSS feed and on iTunes. 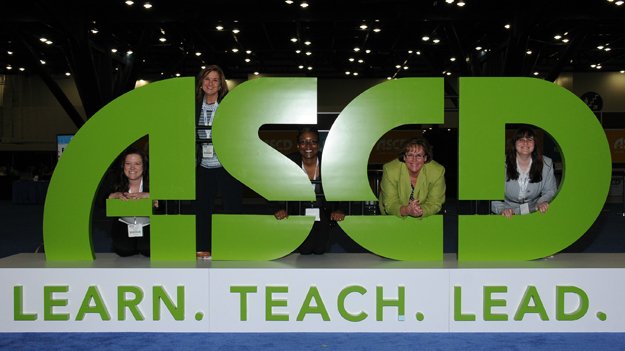 Follow @ASCD on Twitter for episode announcements. Read and comment on Inservice posts highlighting the podcast and other ways to support a whole child approach to education. Share questions and ideas for future topics by sending us an e-mail. As always, let's keep working to ensure that each child in each school and in each community is healthy, safe, engaged, supported, and challenged. Take care. Whole Child Across the States: How Are We Doing? Since 2007, ASCD's Whole Child approach to education has advocated for a comprehensive strategy to learning and development that ensures each child is healthy, safe, engaged, supported, and challenged. We believe that when entire communities attend to both the in-school factors and out-of-school influences that affect learning, children will flourish. Over the past several years, we've raised awareness about the whole child approach to education; shared resources to help schools, districts, and communities implement this approach; and seen schools and communities experience the benefits of their whole child practices. But how well are we, as a nation, supporting the whole child? On this episode of the Whole Child Podcast, we explore ASCD's Whole Child Snapshots and how they can be used to prompt conversations about how well states support the whole child, where they need to improve, and what strategies can help them meet the comprehensive needs of children. Listen to the episode below or download here. Elizabeth Brito has served as the executive director of Rhode Island ASCD since 2001. Under her leadership, the organization has been the state's leading voice for a whole child approach to education. Prior to retirement from public education in 1998, Brito served as English department chair for the Bristol Warren Regional School District. During her tenure there, she chaired a teacher-led "Thinking/Learning/Study Skills" task force that engaged students and parents in active learning strategies that could be applied across the content areas. This involvement ultimately lead to a Blue Ribbon Award for the school and a Christa McAuliffe Fellowship award for Brito. Follow Rhode Island ASCD on Twitter @riascd. Josh Garcia is deputy superintendent of Tacoma Public Schools in Washington State. He received ASCD's Outstanding Young Educator Award in 2013 and is currently a member of the ASCD Board of Directors. Throughout his career as a high school math teacher, principal, and administrator, Garcia has worked mainly in urban settings, serving the most vulnerable learners. He has developed a preK–12 standards-based instruction, grading, reporting, and assessment system; a sustainable and comprehensive K–12 instructional coaching model; a districtwide differentiated professional development model; and an accountability model that measures how healthy, safe, engaged, supported, and challenged students are in school. Connect with Garcia on Twitter @Garciaj9Josh. David Griffith is the senior director of public policy at ASCD where he leads the association's efforts to influence education decision-making at the local, state, and federal levels and oversees the development and implementation of the association's legislative agenda. Previously, he was the director of governmental and public affairs for the National Association of State Boards of Education. Griffith has also served as an aide to Representatives Joe Kolter and Robert Torricelli. He received his bachelor's degree from Villanova University and his master's degree in education from the University of Virginia's Curry School of Education. Melissa Mellor is ASCD's manager of public policy outreach. In this role she helps to engage ASCD members in education advocacy and promotes education policies that support the whole child. Previously, she worked on high school redesign initiatives at the Council of Chief State School Officers and researched state education policy issues at Education Week's Editorial Projects in Education. Mellor received her bachelor's degree from Wake Forest University and her master's degree in public relations and corporate communications from Georgetown University's School of Continuing Studies. The Whole Child Snapshots aim to prompt exploration and action in support of students' learning, development, and well-being. Educators, families, and the public can use the following suggestions to improve their community's approach to whole child education. Refer to the snapshot's action steps for initial ideas on how communities can work together to support the whole child. Check out ASCD's school-level indicators for details on how schools can help ensure that students are healthy, safe, engaged, supported, and challenged. Access additional resources, including examples of schools that support the whole child and podcasts on whole child topics. Schedule a free consultation with ASCD to see what online, on-site, or blended professional development solutions can help you improve in the areas where you face the most challenges. Read ASCD's legislative agenda, which outlines the association's public policy priorities. ASCD's 2015 Legislative Agenda calls on federal policymakers to establish a broader, more ambitious national goal that moves beyond college, career, and citizenship readiness to the successful development of the whole child at every level of the education system. Learn how some states and districts are developing and using next-generation accountability systems with multiple metrics that complement a whole child approach to education. Get a whole child resolution introduced in your state or district. Access a resolution webinar, sample resolution language, and a resolution checklist. What does supporting a whole child approach to education look like in your state? 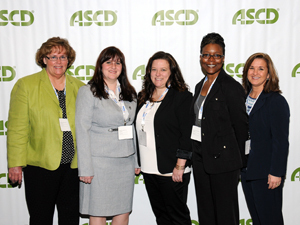 ASCD is dedicated to excellence in learning, teaching, and leading. At the heart of our work is our commitment to the whole child. The ASCD Whole Child approach is a pathway to sustainable school improvement—that is, by creating a culture and climate where students are healthy, safe, engaged, supported, and challenged, schools will increase student engagement, increase attendance, reduce disciplinary referrals, increase academic credits earned, and increase graduation rates. The approach pulls together current school initiatives for greater support and strengthens school and classroom strategies to meet the needs of each student. In 2012, ASCD selected 10 schools from a nationwide pool of 142 applicants to participate in the Whole Child Network, a three-year research effort to evaluate implementation of ASCD's Whole Child approach. The Whole Child Network provided organization and support for member schools implementing ASCD's Whole Child practices with their students, staff, and communities. On this episode of the Whole Child Podcast, host Donna Snyder, ASCD's manager of Whole Child Implementation, and guests explore the approach's process, implementation, and outcomes. Sandra D'Avilar, principal, Teunis G. Bergen School, P.S. 9, New York, N.Y.
Teachers that are more reflective are more effective in the classroom. The difference between learning a skill and being able to implement it effectively resides in our capacity to engage in deep, continuous thought about that skill. In other words, recognizing why we do something is often more important than knowing how to do it. Reflective practitioners are intentional in their actions, accurately assess their impact, adjust their actions on-the-fly, and engage in ongoing reflection. On this episode of the Whole Child Podcast, we explore how to develop and grow our capacity for success through self-reflection and its impact on student learning, the quality of our schools, and the state of our profession. Kim Price has been a teacher for 15 years and has only worked in Title 1 schools. Currently she is teaching 5th grade at Sun Valley Elementary School in Reno, Nevada. Connect with Price on Twitter @thisteacherocks. Alisa Simeral is a school turnaround specialist and veteran educator who has guided school-based reform efforts as a teacher, dean, and instructional coach. Her emphasis is, and always has been, improving the adult-input factors that contribute to the betterment of the student-output results. Simeral partnered with Pete Hall to write two ASCD books together, Building Teachers' Capacity for Success: A Collaborative Approach for Coaches and School Leaders (2008) and Teach, Reflect, Learn: Building Your Capacity for Success in the Classroom (2015). Passionate about providing support where it's needed most—at the classroom level—her mantra is "When our teachers succeed, our students succeed." Connect with Simeral on Twitter @AlisaSimeral. Pete Hall is a veteran school administrator and professional development agent who has dedicated his career to supporting the improvement of our education systems. Besides partnering with Alisa Simeral on two books together, he authored The First-Year Principal (Scarecrow Education, 2004) and Lead On! Motivational Lessons for School Leaders (Eye on Education, 2011). Hall currently works as an educational consultant as a member of the ASCD Faculty and trains educators worldwide. Connect with Hall on Twitter @EducationHall. Good thinking doesn't happen without practice. What are your habits of reflection? Magnolia Elementary serves 497 students from grades preK–five in suburban Baltimore, Md. The school is classified as Title I and 90 percent of the students qualify for free or reduced lunch. A staff of three administrators, three school counselors, 44 teachers, and 10 support personnel ensure a well-rounded learning environment is established for each child. The school is committed to improving the physical and social-emotional health of each student. Since many of the students' home neighborhoods are not considered safe for outside play, the school has reworked its master schedule to allow for increased physical education periods and additional free play time connected to lunch periods. Magnolia Elementary also conducts movement sessions via its after-school intervention program. The school has a mental health cohort that meets six times per year to evaluate the support the school is providing to teachers, staff, and students. As a Positive Behavioral Interventions and Supports (or PBIS, as it's often known) school, Magnolia Elementary believes in emphasizing positive behaviors and teaching character. To build a greater sense of school community, the school has created five "houses" on campus, and each house aligns with a specific character trait: responsibility, respect, cooperation, encouragement, and perseverance. For this tremendous dedication and its many accomplishments, Magnolia Elementary is the 2015 winner of the Vision in Action: The ASCD Whole Child Award. On this episode of the Whole Child Podcast, you’ll hear from Principal Patricia Mason, Assistant Principal Stacey McCord, Title 1 Teacher Specialist Tara Sample, and teachers Kimberly Wheeler and Lauren Donnelly. How are you creating a culture and climate of support and success in your school? How do you know that you're succeeding? Differentiated instruction is an approach to teaching in which educators actively plan and adjust for students' differences so that instruction suits and supports all students' strengths and needs. It is the process of ensuring that what a student learns, how he or she learns it, and how the student demonstrates what he or she has learned is a match for that student’s readiness level, interests, and preferred mode of learning. There can be differentiation of content, of process, of product, and of learning environment. On this episode of the Whole Child Podcast, ASCD's Sean Slade and guests explore what differentiated instruction is, what the necessary components of a differentiated learning environment are, and how real teachers are applying differentiation principles and strategies to respond to the needs of all learners. Carol Ann Tomlinson is the William Clay Parrish, Jr. Professor and Chair of Educational Leadership, Foundations, and Policy at the University of Virginia's Curry School of Education. She is author of numerous books on differentiated instruction, including the second edition of The Differentiated Classroom: Responding to the Needs of All Learners (2014) and Assessment and Student Success in a Differentiated Classroom (2013). For more on successful differentiated instruction, read Tomlinson's recent commentary on Education Week. Tomlinson also leads the Differentiated Instruction Cadre for ASCD Professional Learning Services, which works to implement effective professional development and instruction in schools and districts nationwide. Connect with Tomlinson on her website and on Twitter @cat3y. Kristina Doubet is an associate professor of middle and secondary education at James Madison University in Harrisonburg, Va. With more than 10 years of experience teaching middle and secondary English, she now prepares future middle and high school teachers for careers in the classroom. She has studied the impact of differentiated instruction on student performance in elementary, middle, and high school classrooms and authored publications on differentiation, curriculum design and formative assessment. Doubet is an ASCD Professional Learning Services Faculty member and serves as a staff developer across the country and abroad for schools and districts implementing the Common Core State Standards, the Understanding by Design® framework, and differentiated instruction. Jessica Hockett is an education consultant in differentiation, curriculum design, and lesson study. She previously worked as a secondary English, social studies, and math teacher in both general education and gifted programming settings and has published a variety of articles and book chapters related to differentiation, curriculum, and advanced learners. As an ASCD Professional Learning Services Faculty member, Hockett has worked with teachers and leaders in more than 50 school districts on differentiated instruction, curriculum development using Understanding by Design®, and development of programs and services for advanced learners. Together Doubet and Hockett are coauthoring the upcoming ASCD book Differentiation in Middle and High School: Strategies to Engage All Learners which will include a foreword by Tomlinson and be available in June 2015. Differentiating instruction is not easy and teaching mastery isn't something that happens overnight. Can you recall the particular school year—or a specific class or student you had—when you felt like differentiated instruction really clicked for you and you felt yourself really excelling in your instruction? Talking and listening are indispensable for learning, but they are also crucial for development and our growth as individuals. Whether developing understanding, conveying meaning, sharing thoughts, sparking new ideas, forming friendships, developing empathy, or even learning how to collaborate and cooperate, the ability to communicate effectively and skillfully is fundamental. On this episode of the Whole Child Podcast, we'll explore how the ability to communicate is being cultivated in the school and classroom. Annie Huynh is a 4th grade teacher and literacy coordinator at Folk Arts-Cultural Treasures Charter School in Philadelphia, Pa. She is a member of ASCD's 2014 Emerging Leaders program and is the author of the ASCD Express article "Four Ways to Amplify Student Voice." Kevin Scott is a strategic advisor for constituent programs at ASCD, where he facilitates programs and initiatives for younger educators, such as the Emerging Leaders and ASCD Student Chapter He also provides services and consultation to ASCD affiliates. Scott previously spent seven years teaching 7th grade history in Fairfax County Public Schools in Virginia, and he has served as education director for other associations. How do we teach talking and listening skills? Is there a gap between how they are currently being taught and how they should be taught?